A two bedroom property on the popular Emerson Valley, an ideal first time buy and offering EXCELLENT SCHOOL CATCHMENT. Offering entrance hall, lounge, SECURE REAR GARDEN WITH GATED ACCESS, kitchen/diner, REFITTED BATHROOM, gas to radiator central heating and GARAGE WITH OFF ROAD PARKING. Stairs rising to the first floor, radiator. Double glazed window to the front, coved to ceiling, radiator, television and telephone points. Double glazed window and opaque double glazed barn style door to rear, a range of storage cupboards at base and eye level, rolled edge work surface areas, complementary tiling, single drainer sink unit with mixer tap over, radiator, space for washing machine, gas cooker with hood, space for fridge/freezer, radiator. 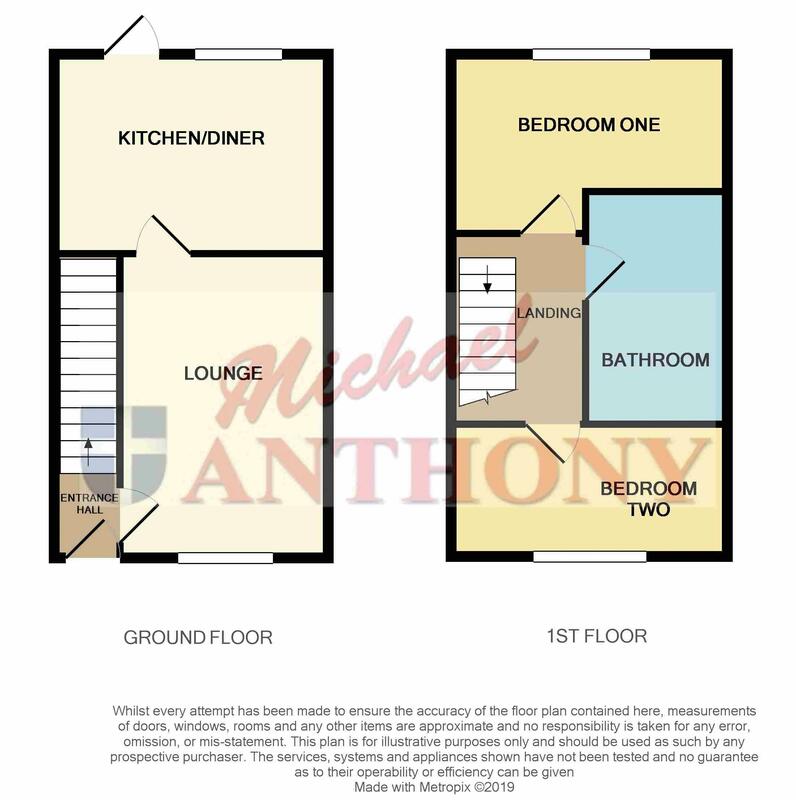 A three piece suite comprising a panelled bath with mixer tap and shower unit over, low level w.c., pedestal wash hand basin, heated towel rail, extractor fan. Up and over door with power and lighting, hardstanding providing off road parking for several vehicles. Patio area leading to lawned area with flower and shrub borders, gated access to the side.